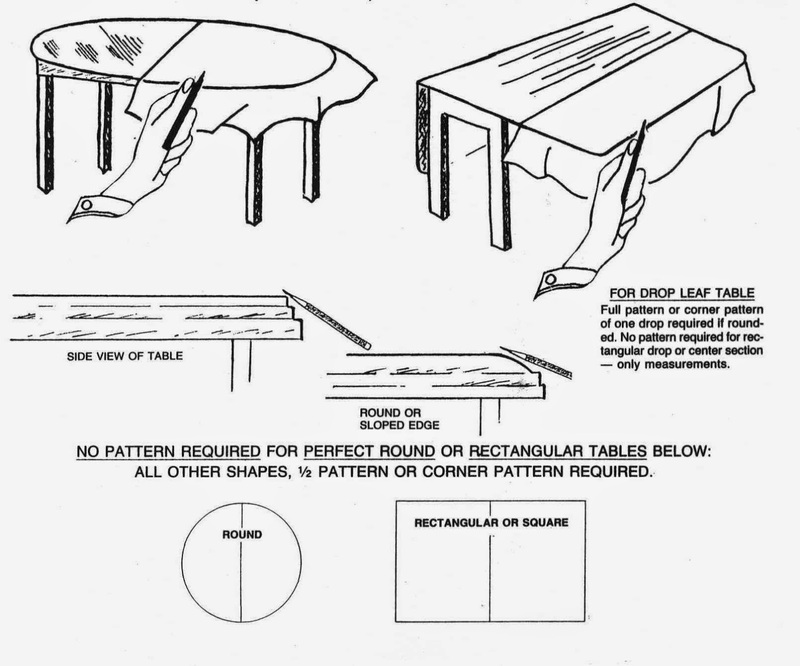 Table Saver - Custom Made Table, Leaf, Buffet & Server Pads: CUSTOM SHAPED TABLE PADS -- WHAT SHAPE IS YOUR TABLE?? CUSTOM SHAPED TABLE PADS -- WHAT SHAPE IS YOUR TABLE?? Do you have a unique shaped table? No worries, first let us check your make and model number off your table (most of the time it is stamped on the underside of your table top) We can see if we have your pattern in our huge database of blue prints and table patterns. If we do not have it, or if you can not find a model number, no big deal, we can send you out a pattern kit. Doing a pattern tracing is so easy, a 5 year old can do it.